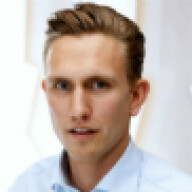 Similar to the transition in the mobile phone industry from feature phones to smartphones and the way in which new business models, platforms and market participants have transformed the way that profits are distributed among companies, we will see shifts and profit redistribution within the auto industry. Most market experts predict dramatic changes in this market as a result of disruptive technology trends such as self-driving vehicles, electrification and connectivity via technologies such as 5G. The smartcar of the future will be constantly exchanging information with its environment. Vehicle-to-X systems will enable communication between other vehicles, roadsides and infrastructure. The auto industry could be one of the first sectors outside of the smartphone world to heavily rely on 5G technologies. However, integration of highly patented 5G standards could be an economic risk for vehicle manufacturers. Royalty rates – for example, for SEPs in cellular communications standards such as 4G and soon 5G – can easily mount up to hundreds of millions of dollars a year. Patents in the automotive industry tend to be vertically licensed. A Tier 1 manufacturer would not usually request licensing fees from an original equipment manufacturer (OEM) but would rather incorporate the license to use the suppliers’ IP rights or third-party IP rights into its component supply contracts. Also, when it comes to licensing negotiations, royalties between Tier 1 suppliers and OEMs are mostly based on a single part that has been improved by an invention – licensing costs have thus had a marginal influence on vehicle prices so far. In contrast, patent licences in the communication industry focus principally on the net selling price of the device and mainly target OEMs. Consequently, royalties are much higher, especially for manufacturers that do not own a patent portfolio to cross-license. Bylaws of standard-setting organisations, such as the European Telecommunications Standards Institute’s IP policy, do not explicitly set out how royalty rates for SEPs should be calculated. As evidenced by Daimler’s request to EU antitrust regulators to probe Nokia’s SEPs, royalty expectations between SEP holders from the communications industry and the car manufacturing industry drastically diverge. While double-digit royalty rates based on whole product net sales are common in the communications industry, such rates would be inconceivable in the auto industry, where marginal profits are comparably low. Also, car manufacturers argue that the suppliers should take a licence, while SEP holders seem to directly negotiate with OEMs. Broadcom’s recent $1 billion patent claim against Volkswagen (Mannheim District Court) is another example of the patent holder directly targeting the OEM, while the infringed technology was used in the supplier’s components (eg, from Becker Automotive Systems (a subsidiary of Harman Becker) and Conti Temec (a subsidiary of Continental AG) originating from the chip manufacturers Texas Instruments and Nvidia). Just at the beginning of 2019 Broadcom initiated similar actions against the German OEMs Daimler and BMW. Avanci – a joint licensing initiative – offers a fixed rate of $15 for the use of 4G (including 2G/3G and eCall) in vehicles. Avanci claims that the rate remains fixed regardless of whether additional patent owners join the patent pool. Car manufactures such as BMW, as well as the Volkswagen subsidiaries Audi and Porsche (the parent company is still negotiating) have recently signed contracts with Avanci. At present, automotive connectivity is mostly used for emergency calls (eg, eCall), smartphone signal enhancement, telematic data and software updates, digital radio and navigation. However, in the future, connected vehicles will rely more heavily on 5G technologies not only to navigate but also to drive autonomously through complex traffic situations. Some economists argue that a FRAND licence is connected to a consumer’s willingness to pay for the added benefits of driving a car that supports 4G or 5G. If the self-driving vehicles of the future rely on patented 5G standards that offer autonomous driving features – the consumer’s willingness to pay could be more than $15 per car. The question is, will royalties depend on where 5G is used in the supply chain and should the FRAND determination be based on the entire product, in this case the relatively high-priced cars, or on the smallest saleable unit? Also, if cars do become ‘smartphones on wheels’, will royalties increase to amounts comparable to the smartphone industry? And if licensors and licensees do not agree on a licensing rate, will we soon experience the equivalent of a smartphone war in the automotive industry? More and more car manufacturers are realising that one way to prepare for SEP licensing is to engage in developing 5G technology that is relevant to the auto industry. In order to identify 5G declared standards patents that relate to a car application, the IPlytics Platform tool was used to perform an extensive full-text search of declared SEPs and technical contributions. The analysis was based on state-of-the-art stemming and semantic indexing methods. 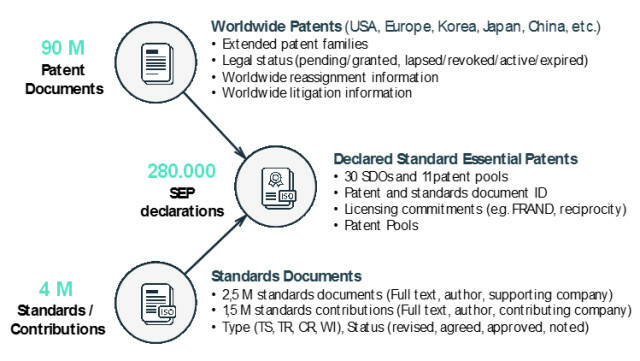 Figure 1 illustrates how the data on patents, declared SEPs, standards and contribution documents is structured. The first analysis identifies SEPs that describe a vehicular application with a 5G technical specification (technical specifications that relate to 5G excluding earlier 4G specifications). Figure 2 illustrates 5G SEP families as to the year of declaration. The yearly counts of declared SEP families show a steep increase starting only in 2016, while the first 5G specifications – apparently not related to a vehicular application – were developed in 2015. The analysis further identifies the top 15 patent holders that have declared SEP families that describe a vehicular application in 5G. 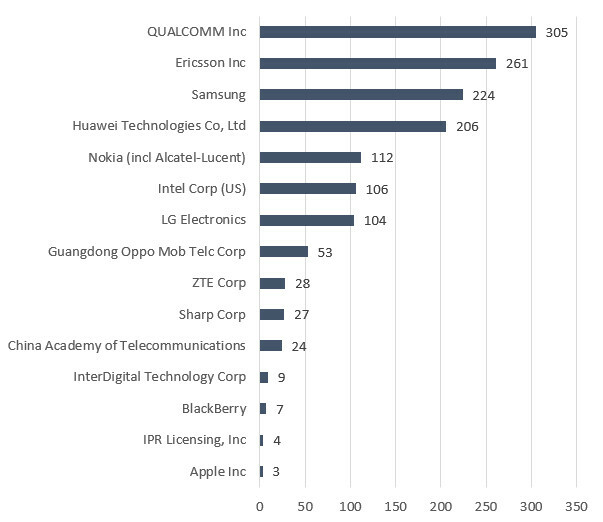 Figure 3 shows that most patents are owned by the US companies Qualcomm and Intel, Chinese company Huawei, South Korean companies Samsung and LG and European companies Nokia and Ericsson. Yet not a single car manufacturer or automotive supplier has declared SEPs for 5G. The identified SEPs are further matched to US litigation data showing the main plaintiffs as to the number of litigated and declared SEPs with vehicular applications. 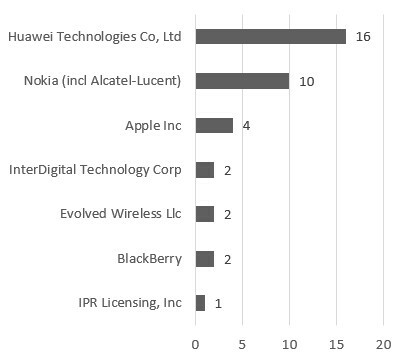 Figure 4 ranks the plaintiffs, with Huawei and Nokia being the strongest litigators. IPR Licensing Inc and Evolved Wireless Llc are patent assertion entities (PAEs) that are litigating the earlier acquired patents from LG and InterDigital. A deeper look into the litigation data does not identify any car manufacturers or automotive suppliers as defendants. As of today, the plaintiffs are mainly targeting defendants such as handset manufacturers (eg, Samsung, Apple, ZTE, HTC and Huawei) or base station suppliers (Nokia and Huawei). Who is developing the 5G standard for vehicles? Standards development in the communication industry is a process wherein companies send their best engineers to meet at worldwide conferences to present their latest R&D findings. Standards developing companies submit technical contributions such as new projects or propose changes to existing projects. These contributions often include patented technologies that will be included in the next standards release. The number of technological contributions is a measure of the future patent leaders for the next standards generation. The IPlytics database was used to perform an extensive search of technical contribution documents to identify which companies are developing 5G specifications with regard to vehicular applications. 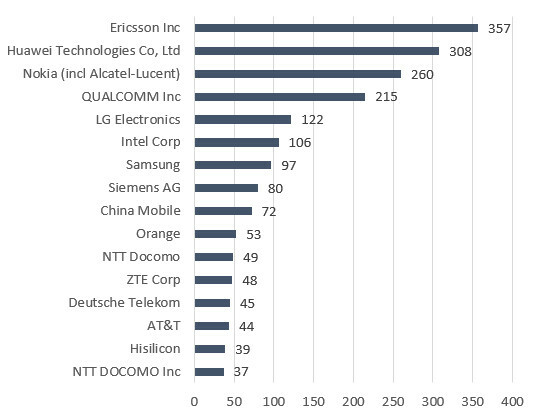 Figure 4 shows the top 15 companies that have contributed to 5G specifications for vehicles. The results show that there is not a single car manufacturer among the top 15 standards developers. Major companies are chip, handset or base station manufacturers. A deeper look in the data identifies that Volkswagen (28 contributions), Robert Bosch (26 contributions), Toyota (25 contributions), Continental (23 contributions) and General Motors (22 contributions) are among the car manufacturers and suppliers that have started to also submit contributions related to 5G and V2X, but on a very low level. Connectivity in cars has the potential to fundamentally change the automotive value chain. In order to cope with these challenges, vehicle manufacturers must face complex licensing in the communications industry and ensure that they have the right IP strategy. This includes a more comprehensive monitoring of IP activities beyond the sphere of competitors and suppliers in the auto industry. Car manufacturers and suppliers should also increase their participation in standardisation activities. Standards that are developed and set today may well become the fundamental technology platform for emerging technologies and applications in the future. licensing directors should consider royalty costs and appropriate security payments in advance. Patent departments and R&D divisions should not only consider information retrieved from patent filing data, but also monitor standardisation activities and declarations of SEPs – analysing the interplay of patents and standards to quantify the IP risk potential. The automotive industry should increase its activities in standards development to also develop a SEP portfolio for 5G standards.